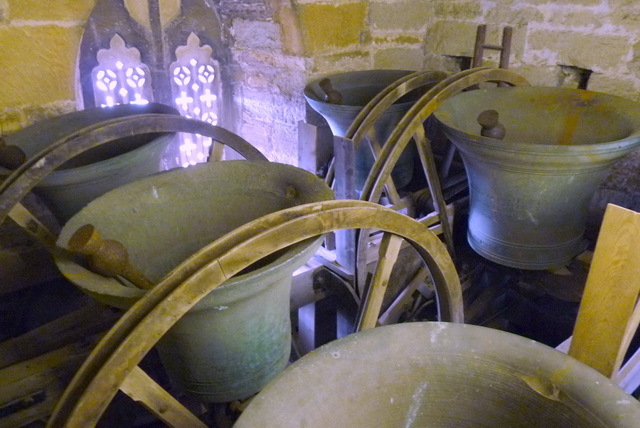 The bellriningers at Westonzoyland Tower are members of the Bridgwater Branch of the Bath and Wells Diocesan Association of Change Ringers (B&WDACR). 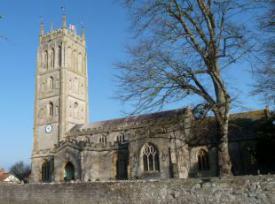 Sunday service ringing is from 09:45 and practice nights are 19:30 on Mondays, alternating with Middlezoy. For enquiries about ringing at Westonzoyland please contact either Brian Wylde on 01278691362 or John Hallett on 01278691966 or by email click here. Details of our bells are listed below. 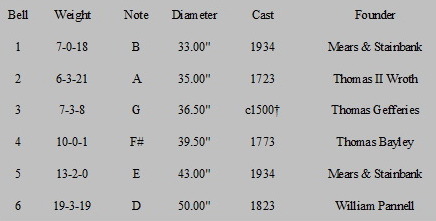 The bells were rehung in their current lower level on a new oak frame in 1934 when the 5th was recast and they were augmented from 5 to 6 with the addition of the new treble. At that time ringing was also moved from the ground floor to a ringing chamber in the old clock room, some 52 steps upward. The old frame is listed as being of historic interest and is still preserved in the upper stage of the tower. 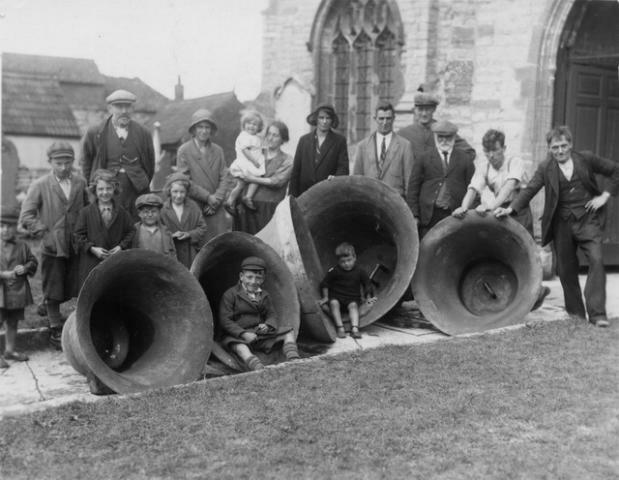 The picture on the right was taken when the old five bells were removed in 1934, the 5th recast, and the six then re-hung lower in the tower with the addition of the new treble. 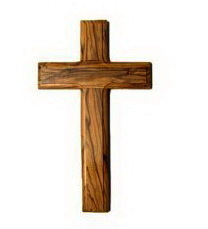 Details of our clock and chimes can be found here.